If your goals is to get an overview of Tallinn, its surroundings, coasts and top attractions, this tour is perfect for you. Start with discovering Tallinn’s jewel and main highlight – the Medieval Old Town. Together with colourful legends, we will introduce you to the gabled houses, churches and squares that developed here between the 13th and 15th centuries. In medieval times Tallinn boomed as a key Hanseatic commercial hub. 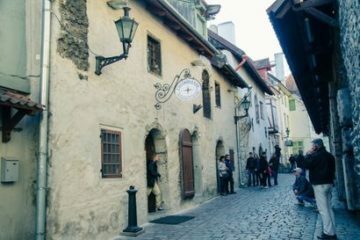 The tour includes visiting both the lower town and the upper town where you will see all the main attractions in the Old Town. The tour then continues by bus or car to the leafy Kadriorg district. It is a park area that is home to amazing wooden villas, art museums and a baroque palace built for Russian Tsar Peter the Great. 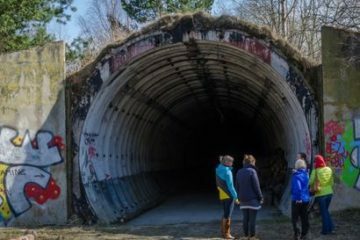 It continues onward to the Pirita beach area, where you will get a glimpse of the mysterious ruins of a 15th-century convent and the city’s soviet-era TV tower. After lunch break you will visit the Open Air Museum in Viimsi which is a complex of seaside-farmhouses over 150 years old, which is located in a picturesque coastal village. It is a relaxing location and the best place to admire the famous silhouette of Tallinn. PRICE INCLUDES: tour guide services, transfers by bus/ minibus/ car, entrance fees to the Open Air Museum. FOR EXTRA CHARGE: lunch, entrance to Tallinn TV Tower. PICK UP PLACE AND TIME: Tallinn Cruise Passengers Ports’ gate/hotel/as agreed. LANGUAGES: English, Spanish, Russian, German. Explore Tallinn’s Old Town, the best-preserved medieval city centre in Northern Europe! The Old Town is sometimes compared to an open-air museum presenting some of the best medieval architecture. We have plenty of stories to tell you, for example we have the answers as to why Tallinn limps, who Old Thomas is, how the devil himself celebrated weddings in the city and many more. Historic streets, courtyards and squares are all packed inside the 2 km long limestone city walls and present an authentic atmosphere and the reason why Old Tallinn is so loved by both and its citizens and its visitors. Stepping out of the Old Town and only driving for a few minutes you will find the ultramodern Rotermann Quarter and opposite this the old suburb of Kalamaja. Kalamaja mostly consists of traditional wooden buildings that once housed local fishermen. These days, it is one of the best-known residential areas for hipsters in Europe. In Kadriorg, home to a baroque palace and a modern art museum, Kumu, we will stop to walk around and tell you how Kadriorg got its name, how it relates to Peter the Great and why it is the most visited green area in Tallinn. We also make a short visit to the Song Festival Grounds, the legendary place where Estonians sang themselves to freedom in the late 1980s. Most of the tourist leaflets and websites promoting Tallinn include at least one picture of the “sprat can” silhouetted against Tallinn’s skyline. On this tour we will make sure that you capture your own selfie capturing this famous panorama in either Pirita or Viimsi. Tallinn boasts 46 km coastline and a vivid maritime history. We take you along the eastern coastal promenade road to Pirita and the Viimsi peninsula. On the way, we pass the famous Olympic yachting harbour and centre, as well as the TV tower, both built for the 1980 Moscow Olympics. There is also St. Bridget’s Convent to see, and it was this medieval structure gave name to the area known as Pirita. The sea defines the character of Viimsi. Here, embraced by the sea, coastal dwellers have lived for centuries. Their possessions and artefacts of their lives are displayed in the Viimsi Open Air museum, which we will visit during our tour. During the soviet era, Viimsi was a part of the heavily-controlled border zone, which was closed to non-residents of the peninsula. Despite that, a very successful collective fishing farm – the Kirov fishing kolkhoz – operated in the area. We will tell you about the border zone rules and what life was like here during the soviet times. On our way back to city centre our bus will drive through Lasnamäe, the most populated residential area in Tallinn, which also serves to remind us of our soviet past. for groups of 3-6 person – we can visit the EcoSPa Harmoonikum – why not let us book amazing treatments for you, which only use local Estonian herbs? Kristiina, it was a real pleasure to meet you and to enjoy your very professional service, which was provided by you in a enjoyable, charming and vivid way. All of us felt very comfortable and we got an excellent impression about Estonia as country as well as about its culture and especially its people. We gained within this short period of time a maximum of insights and you contributed a lot for achieving this. Thank you very much for this gorgeous day and keep your optimistic habit. Excellent service, engaged and highly motivated guide and thousand of insights into Estonia, its people and culture. A must for interested people, who want to discover the Baltic Sea countries. Prangli Travel provided a full service package and adapted the tour upon our needs. Easy to book via internet and punctual in pick-up and drop-off. We enjoyed it very much and can recommend their service highly. 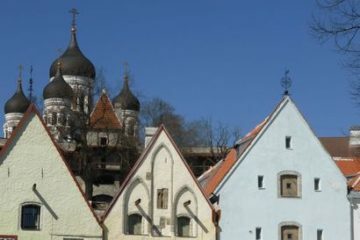 Tallinn top attractions + Viimsi Open Air Museum tour.